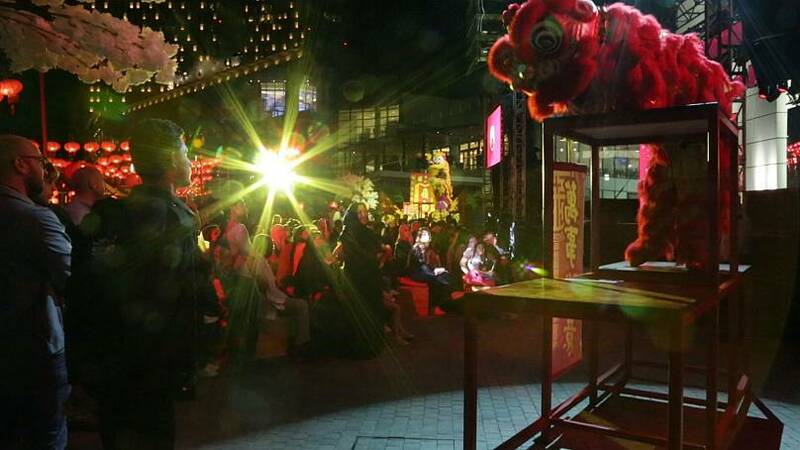 Traditional festivities took place in the emirates of Abu Dhabi and Dubai and included Chinese dragon dancing, kung fu demonstrations, drumming and acrobatics. Lion dancing performers mimic eight of the animal’s traits, from suspicion to anger and playfulness. The Chinese believe the lion to be a symbol of good fortune, safety and wealth creation. Event coordinator Raslyn Rasiah explains that her team opted for performers who could take conventional craft to new levels. Food was also a big part of the new year event. Festival-goers in Abu Dhabi could taste dishes such as lucky dumplings - containing hidden gifts for children - and a popular fish delicacy called Nian Nian You Yu. Another traditional meal is a raw fish and vegetable dish called Yee Sheng, which translates to ‘a prosperity toss’. The dish involves diners raising their chopsticks high in the air and making wishes for the new year. An eight-course dinner on new year’s night is an important Chinese tradition, according to chef Dong Nie. 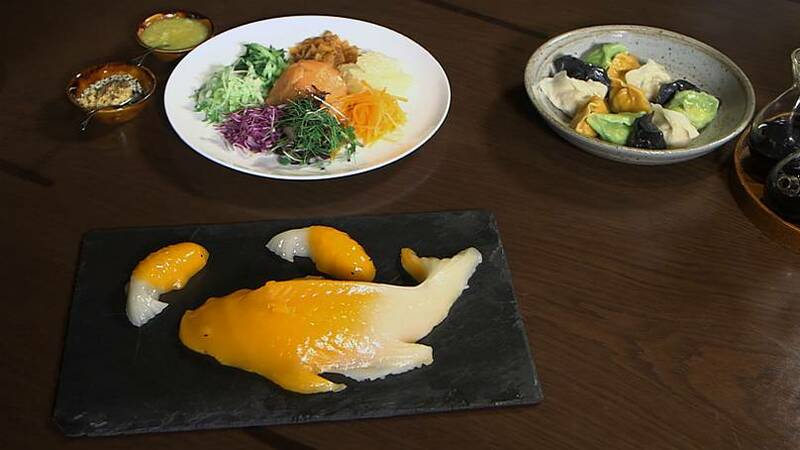 It’s also customary to leave some fish on the plate to symbolise ‘surplus’ in the coming 12 months. 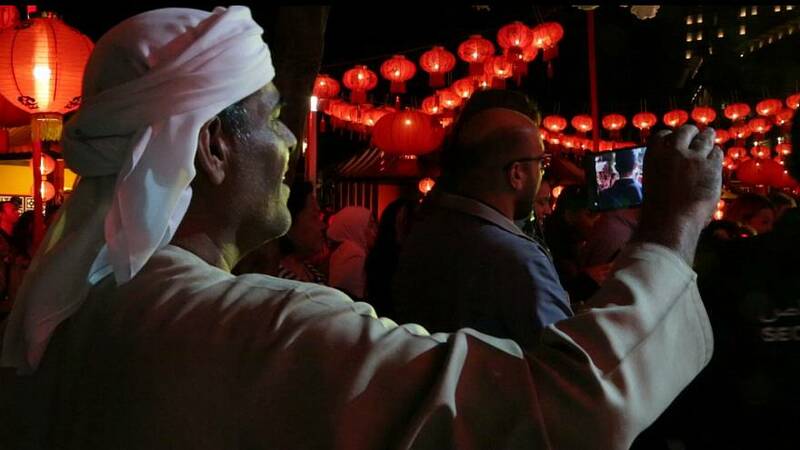 The Chinese community celebrating new year festivities in the capital make up hundreds of thousands of people who have made the UAE their home and place of work. The trading and social ties between the two countries is one that continues to grow, year on year. For 35 years, China and the UAE have enjoyed diplomatic relations with annual trade agreements reaching more than $53 billion in 2017. China is the UAE’s second largest trading partner and biggest source of imports. The Emirates accounts for about a quarter of China’s total Arab trade, and is a gateway for around 60 percent of their exports to the Middle East, according to Reuters. The Gulf nation plays an important role in Chinese president Xi Jinping’s “Belt and Road” initiative, involving infrastructure development and investments in countries in Europe, Asia and Africa. Last year, the head of state was the first Chinese leader to visit the UAE in 29 years. He announced 13 agreements and memorandums of understanding during his stay. China's ambassador to the UAE, Ni Jian, told Euronews that the trip was an historic one. “It means that, in the future, the two countries’ relations will cover every field - the political, economic, science, education, cultural and so on,” he said whilst attending the Chinese new year celebration in Abu Dhabi. Another sector of growing importance is tourism. According to the ambassador, the number of Chinese tourists in the UAE is expected to grow between 10 to 20 percent this year. And Yichin from Tawian uploaded this image of people in Dubai marking the Lunar new year, highlighting how red is a colour associated with luck and happiness for so many Chinese around the world at this time.